We offer quality repair and competitive prices for all of your exhaust system and muffler repair needs. Make sure to stop by our 15127 Frederick Road location for an inspection, as a damaged exhaust can hurt both your car and the environment. 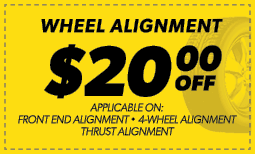 When you need brake repair, brake pad replacement, or even a total brake job, our local Rockville, MD Meineke is there to help you with everything you need to drive (and stop) safely. The services offered for the price were the best in the area and a great value. The staff were kind, attentive and honest. Brian is AWESOME! He was so professional and took very good care of my vehicle. I am not from the area, I live almost an hour away but I will definitely come back for service. As long as Brian is there! Great customer service is hard to find. This location has picked itself off the floor. Under the new management of Brian, it's been going well. He has great customer relationships and he is trustworthy.